Finally there is a first aid at work course just for you. We always hope that we will run our dance classes without a hitch but sometimes situations arise where it may be necessary to provide initial medical care to one of your students or class members. Having searched for a course that is specific to dance instructors and being unsuccesful in finding one that meets requierments we have now launched this Health and Safety approved recognised course especailly for dance teachers and fitness profesionals. 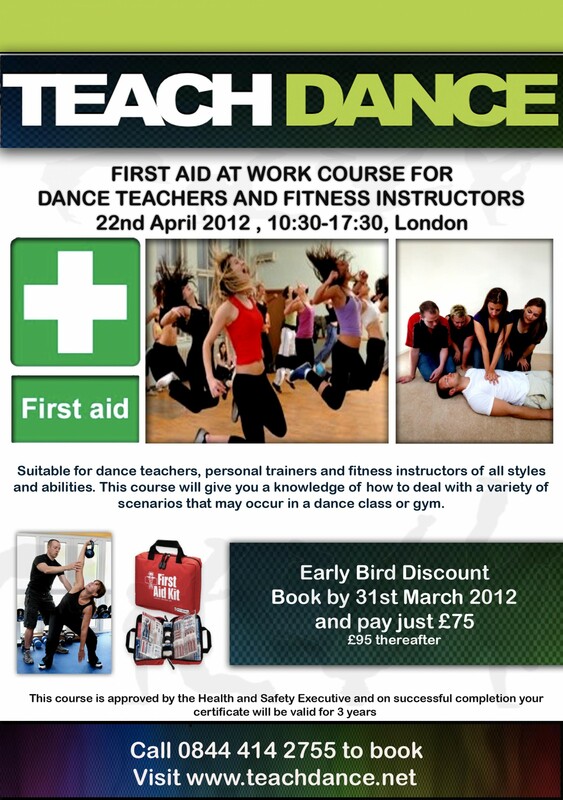 The course covers everything you will need to know in your role as a dance teacher in terms of first aid. This is a great additional qualification to have and is recognised by schools, gyms and most organisations world wide. We would fully reccommend that you equip yourself with these skills, you never know you could save a life! This entry was posted by jess on February 29, 2012 at 5:12 pm, and is filed under IDTA. Follow any responses to this post through RSS 2.0. Responses are currently closed, but you can trackback from your own site.